Notably, the BJP leader made this remarks at an interactive session at the Indian School of Business in national capital. New Delhi: Firebrand Bharatiya Janata Party (BJP) leader Subramanian Swamy on Saturday claimed that the newly appointed Reserve Bank of India (RBI) Governor Shaktikanta Das was involved in corruption. On being asked who should head the RBI, the Rajya Sabha member named Indian Institute of Management, Bangalore, professor R Vaidyanathan. “Professor R Vaidyanathan, former professor of finance (IIM-B), would have been much better. He is also (an) old Sangh man. He is our man,” he said, adding that bringing S Gurumurthy on the RBI board was a mistake. “He (Das) was removed from the Finance Ministry because he tried to interfere in my corruption case against (senior Congress leader) Chidambaram. He is Chidambaram’s ‘chela’ (disciple). When he was in Chennai, he was involved in a lot of corruption,” Swamy added. On December 11, Shaktikanta Das, who spearheaded the post-demonetisation normalisation of the economy, was named the new RBI governor, a day after incumbent Urjit Patel quit the post. 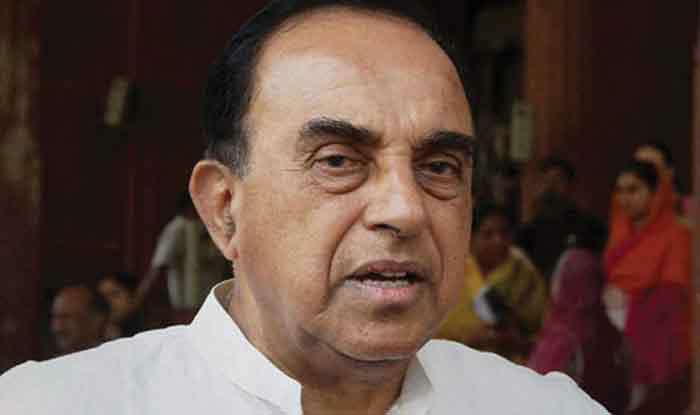 On being asked about the 2019 general elections, Swamy asserted that the saffron party would come back to power. He claimed that there is no anti-incumbency against the Narendra Modi government. To a question on Congress president Rahul Gandhi, Swamy alleged he held a British citizenship and cannot become a prime minister, a charge already rejected by the former. “By the way Rahul Gandhi cannot be a prime minister because he is a citizen of Britain and his Indian citizenship will be cancelled, he won’t even be an MP,” he claimed.